Proven Radial Stacker Conveyor design experience with machines in operation all over Australia. We manufacture Radial Stacking models with high capacities, up to and exceeding 8,000 tons per hour. Our Radial Stackers are equipped for mobility or for a fixed application. 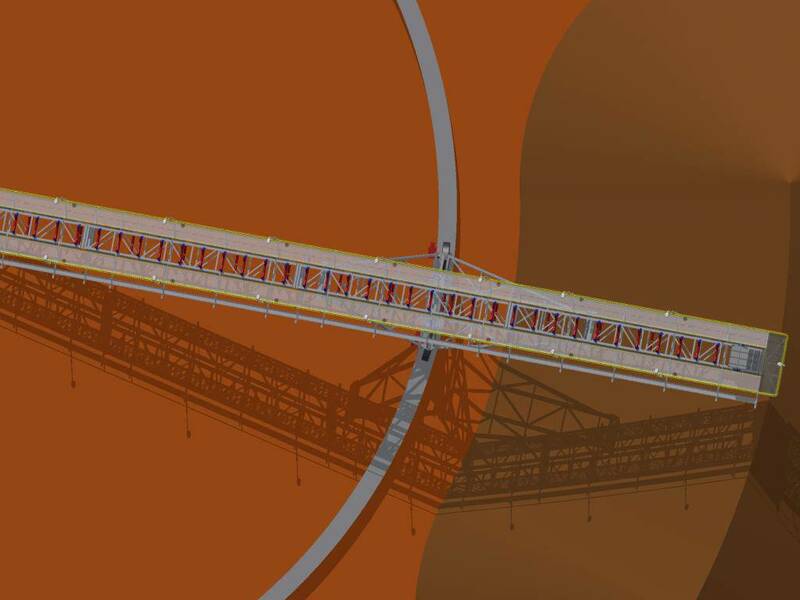 Delta Radial Stacking Conveyors offer features such as luffing, slewing, and telescoping for maximum stockpile capacity. • Superior after sales service and support - our technicians are highly experienced and knowledgeable. 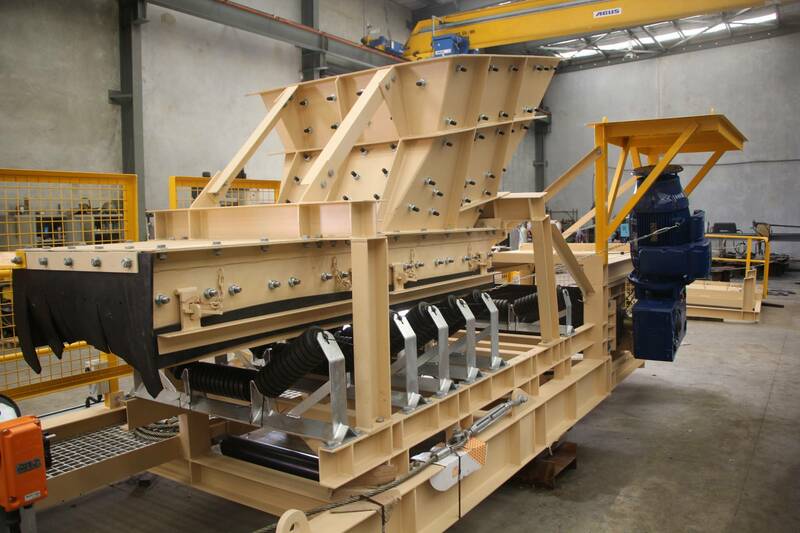 • Proven Radial Stacker Conveyor design experience with machines in operation all over Australia. 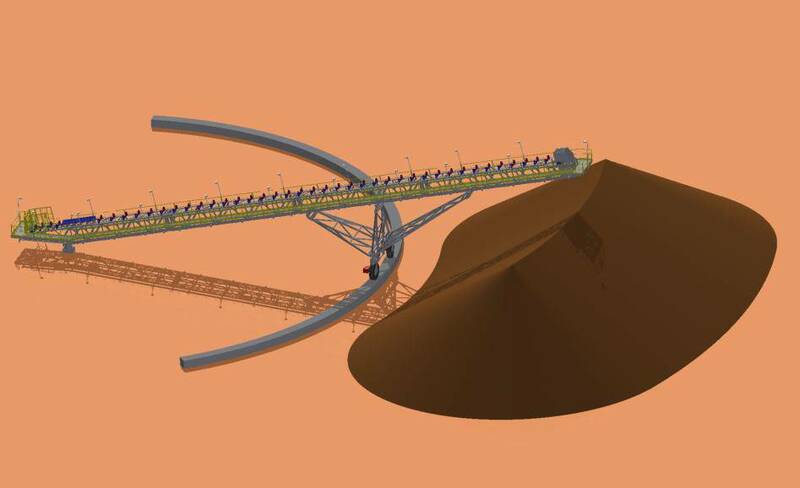 • Three dimensional Radial Stacker Conveyor design modelling and finite element analysis ensuring robust machine design and compliance with all AS/NZS standards for strength and fatigue. • The Radial Stacker Conveyors are equipped with a head belt scraper and plow. 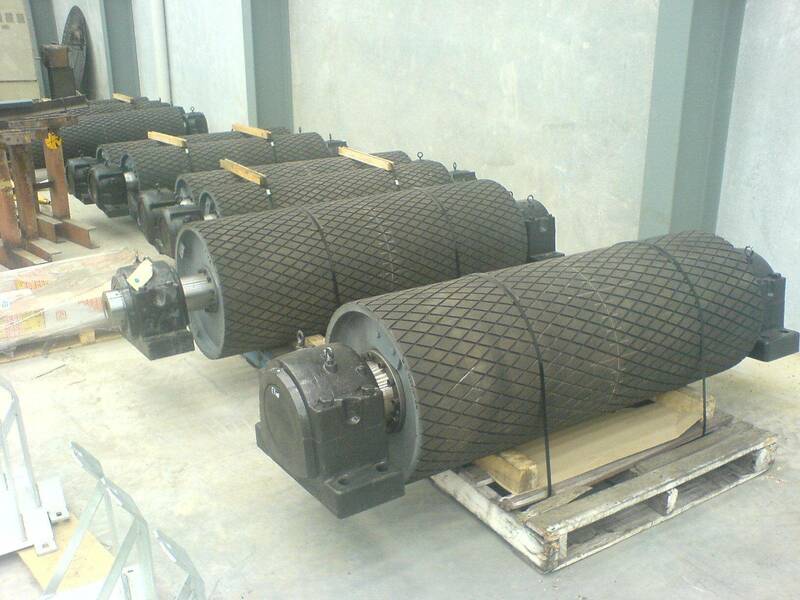 • Radial Stacking Conveyor Belt width from 300mm to 1500mm can be incorporated. • Any Radial Stacker Conveyor pulley centre distances can be accommodated. • Handrail and walkways can be supplied as an option for any of our Radial Stacker Conveyors. • Optional telescopic feature for more efficient Radial Stacker stockpiling. • Radial Stacker Conveyor Tyres are foam filled pneumatic, option exists for steel wheel on rail commonly used on fixed and large installations where lumpy product exists. • Engineered solutions for any Radial Stacker Conveyors involving special applications with heavy duty requirements and high throughput. • Radial Stacking Conveyor Design compliance with AS4324 Mobile equipment for bulk materials handling.